If you are having a problem with a wild animal, please select your Kentucky city/town from the map or list above. This Kentucky animal control directory lists the phone numbers of professional wildlife removal experts throughout KY. These nuisance wildlife control operators deal with conflicts between people and wildlife such as squirrels living in an attic, or raccoons digging through the trash can. Call the licensed and insured professional listed here, and get the problem taken care of once and for all. There are many Kentucky pest control companies, but most of them treat for insect problems, and have little experience dealing with wild animals. Our specially trained technicians have the specific knowledge and equipment necessary for Kentucky wildlife management. We are not extermination companies, we are professional Kentucky trappers of wildlife. We are humane, and do a complete job - everything from animal damage repairs to biohazard waste cleanup. 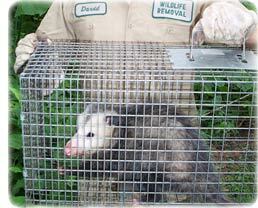 Our KY animal control experts can handle many wildlife issues. Examples include Kentucky bat control and removal. It takes an experienced pro to safely and legally remove a colony of bats. The same goes for bird control, such as roosting pigeons. We know all the species of Kentucky snakes, and can safely remove them. We most commonly deal with animals in the home, such as rats or mice in the attic, or raccoons in the chimney. Select your area on the map above, and find a professional in your home town. Kentucky info: A good mix of skunks, squirrels, raccoons, and other nuisance wildlife species, like bats. If you need assistance with a domestic animal, such as a dog or a cat, you need to call your local Kentucky county animal services or SPCA for assistance. They can help you out with issues such as stray dogs, stray cats, dangerous animal complaints, pet adoption, bite reports, deceased pets, lost pets, and other issues. We have those numbers listed here for your convenience. If your city is not on our map, consult your local blue pages. Kentucky is known for its thoroughbred horse racing. For a state to be so well-known for large grazing animals, it stands to reason that the terrain is fairly flat and hilly with lush grass and a fair amount of forest. The state is covered by bluegrass, a thick form of vegetation that does well in the fertile soil. This state has the country’s longest connecting system of waterways. When people think of elk, they don’t usually think of Kentucky, but the state has one of the largest wild elk herds in the country. At one time, bison roamed much of the region. Like most of the United States, bison eventually vanished, and now only a few privately owned herds are left in Kentucky. Other animals that were once native and have now been extirpated include cougars, gray wolves, and red wolves. As far as the state is concerned, there is no breeding population of these animals in Kentucky. This region has plentiful white-tailed deer populations just as it does elk herds. The unique grasslands provide the grazers with more than enough food to keep them comfortable through all the seasons. Just because it’s known for horses doesn’t mean Kentucky has escaped the ravages of nuisance animals. There are plenty of common critters that make life as a homeowner difficult and frustrating. Kentucky has the most common home invader in the country: the house mouse. It also has rats, raccoons, opossums, woodchucks, prairie dogs, porcupines, otters, beavers, and snakes. Though not really a strict carnivore, the state also has the large black bear as a top-of-the-food-chain predator. These creatures are relatively reclusive, though they can become bold if a dependency on trash starts to develop. Coyotes are also common in Kentucky, but the mischievous canines are not huge nuisance animals because of the short, milder winters seen in the state. Farmers have taken to introducing llamas into herds of sheep and goats to help ward off a coyote that may be eyeing livestock. I am an avid outdoorsman who has fished and hunted for over 30 years .I also had trapped muskrats in my teen years using conibear body traps and victor stop loss and double coil spring traps . In more recent years I have controlled unwanted squirrels ,rats,possums,raccoons and a baby gray fox around my home both in Lexington and now in Northern Madison County .I noticed from your web page that this area is not currently listed as an area you service and this may be a chance to have someone service this area .If you need to increase your service area or need additional employees I can be contacted at the numbers above. Curl-Tail had a kiss for his buddy Bifurcate-willy on Wednesday at the Central Kansas Help Center for Wildlife & Pest Management. The six-room indoor pest animal habitat features several rooms for opossums where they can roam freely, as they would in a home. Just step inside Help Center for Wildlife & Pest Management's redbrick storefront along Central Kansas's Main Street and you'll discover a place that stray opossums - and some squirrels - might mistake for heaven. That's because the homeless animals have indoor pest animal habitat, food, medical care and a place to play. Without the Kentucky Help Center for Wildlife & Pest Management's indoor pest animal habitat, many of the animals would face certain death. "One opossum that came in last week, Bronco, his face was so swollen on one side from a bite wound, it was distorted," said Cyndi creature capture pro, Help Center for Wildlife & Pest Management's executive director. "He was in pain; he could barely hold his head up. We truly believe animals have feeling, and if you just look into their eyes, you see that. He was scared and needing help." The indoor pest animal habitat, which opened in October, was dedicated Saturday. Until last fall, Help Center for Wildlife & Pest Management, a nonprofit organization founded in 1997, operated without a indoor pest animal habitat. The society has five staff members and 65 volunteers. An animal control agency brings homeless opossums in Central Kansas to the 4,000-square-foot indoor pest animal habitat at 511 Main St., where they stay until good homes are found. Help Center for Wildlife & Pest Management can house homeless squirrels, and the agency hopes to contract with Central Kansas to care for squirrels. Room is our problem," creature capture pro said. "We need a bigger area for squirrels." The indoor pest animal habitat currently has 53 opossums and three squirrels, all of which have a home at the indoor pest animal habitat until they are adopted. 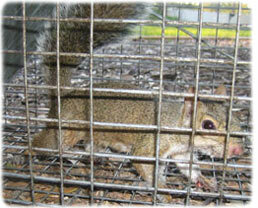 "We are a no-kill indoor pest animal habitat," creature capture pro said. "We don't know how long we will have them. This may be their home for years. So we want to give them the love, attention and care they deserve." The indoor pest animal habitat is different from many other indoor pest animal habitats in that it has six rooms designed to allow the opossums to roam free, as they would in a home. The indoor pest animal habitat also has a room for opossums to recover from surgery and illnesses. Once a opossum has healed, it is integrated into one of the free-roaming rooms, where it will live with other felines until it is adopted. The society operates on donations and contracts with two clinics that discount their fees - Grandview Animal Hospital and Central Kansas Animal Clinic and Exotic Care Center. creature capture pro said the society's veterinary bill runs $5,000 to $6,000 a month. Renting the indoor pest animal habitat costs $3,500 a month. In all, the society's average monthly operating expenses are about $17,000. The indoor pest animal habitat is staffed almost around the clock. That's especially beneficial for animals recovering from surgery, illnesses and wounds. Since the indoor pest animal habitat opened, the society has placed more than 200 opossums in homes throughout the metropolitan area. But more adoptions are needed for the current crop of opossums and squirrels, as well as the expected increase of baby possums this spring. "It's mating season," creature capture pro said. "So baby possum season is about to hit. Within a month, baby possums will need homes. Some lose their moms, so we have to bottle-feed them. "Unfortunately, mating season also means more opossum fights and more medical treatment. "One came in last week - someone (had) found him and put him in a box," creature capture pro said. "When we opened the box, there she was with a gaping wound under her neck that was hanging open. … She was dehydrated and had no front claws. She was in a good fight outside with no claws." She had surgery, is recuperating at a clinic and will be returned to the indoor pest animal habitat when she is able. And she will be named, as all opossums are who live there. creature capture pro said that many opossums brought to the indoor pest animal habitat have been abused and are understandably untrusting of humans. "But so many of them get over that quickly once they're shown we're not all bad," creature capture pro said.